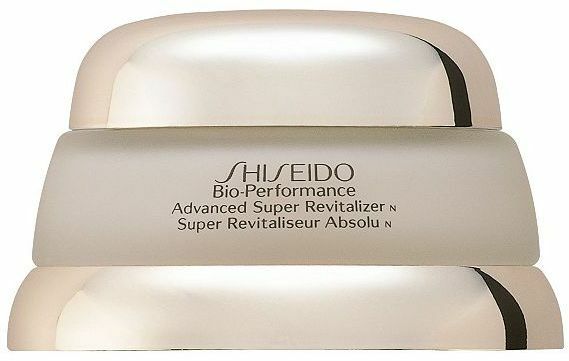 A couple weeks ago I received a sample of of the Shiseido Bio-Performance Advanced Super Revitalizer Cream in the mail to review from Beautystat.com. I was pretty excited about trying this out because my skin is very, very dry right now because of the winter and it's harsh winds followed by bitter cold temperatures outside. I normally use Yes to Carrots skincare which seems to keep it from drying out too much although this year has been really bad for my skin for some reason since the weather has been really weird. This restorative essential combats the effects of an aggressive environment, reducing the signs of dryness, roughness, and fine lines as it re-hydrates. Antioxidants fight skin-aging free radicals to protect against wrinkles. It is recommended for all skin types. I used my normal face wash which is Yes to Carrots Daily Cream Facial Cleanser then I applied this at night following and I would wake up in the morning with very soft skin. I didn't notice the fact that it diminished or "combated " my fine lines in this case but then again it's winter and my skin is crying right now from blasting the heat which in turns drys out my apartment and then my skin, that partnered with the wind and bitter cold doesn't help. I do like how it makes my skin feel and I don't feel I've had enough time to notice the difference yet to say if it does help with fine lines, for $72 though I'm unsure if I would repurchase this as it seems a little high for a cream but I will giving it another go when the weather is a little more forgiving. Would I repurchase? Not currently, but I will give it another try later on. Check out jbeautybrands.com the place with guaranteed lowest prices on all the Japanese cosmetics. Disclosure: I received this sample product complementary from BeautyStat.com for review, however this review is my own honest objective opinion on this product. This sounds great, I have heard that Shiseido has great products.